Destination Weddings are one of the Hottest Trends in Wedding Planning. They are not only cost effective, they are also a great opportunity to bring together all of your family and close friends for a memorable vacation and a FUN TIME!!! It is also the perfect way to celebrate the beginning of your life together as husband and wife. 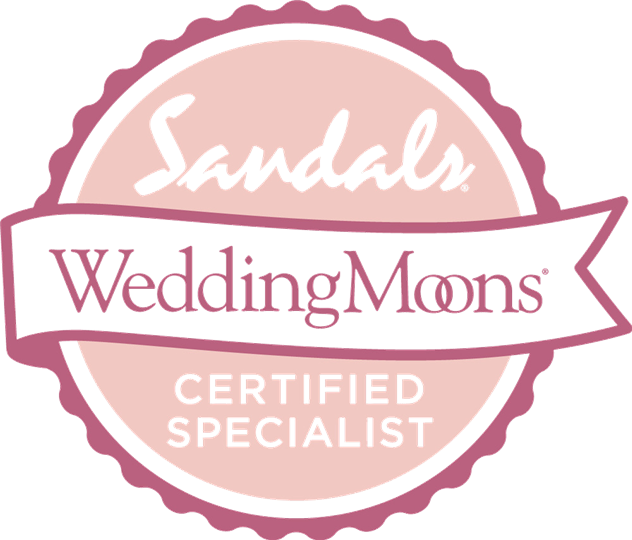 Exclusively Honeymoons and Destination Weddings has been specializing in Destination Weddings for over 10 years and has executed and planned dozens of weddings throughout the Caribbean and Mexico. Our consultants are hands on with you assisting with questions and planning before, during, and after your trip for both you and your guests! The Destination Wedding consultants at Exclusively Honeymoons are here to take the stress away from you while assisting in planning the most important day in your life. We will be your main contact person who will help you plan the travel for both you and your guests and all details of your wedding! Save the Dates of their choice. Our team will address and send out all of the Save the Dates on your behalf all you have to do is give us the addresses! Wedding Website – The Wedding Website is a place where your guests can go to for up to date information on your wedding, travel, and much more! On-Site Execution – Our team will come on site to execute your entire event if you have 15 or more rooms at Sandals & Beaches Resorts or 20 or more rooms at any other resort! We also handle all of the guests reservations, transfers and coordination of all of your Weddingmoon Comps and incentives. All you need to do is what we like to call the Pintrest Planning!